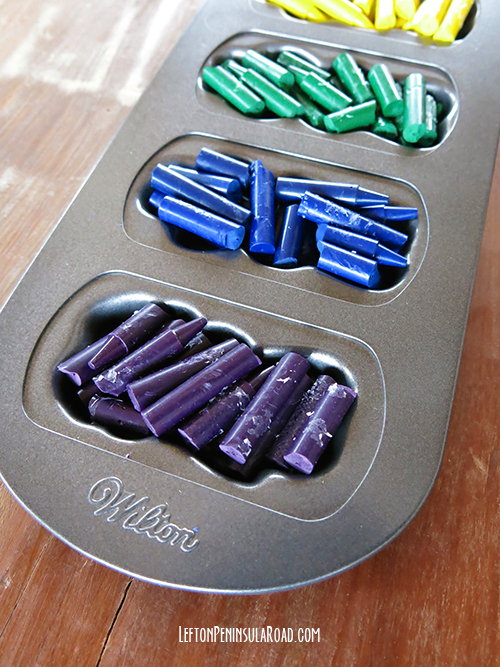 Holiday-themed crayons are such a great way to make old crayons new again. This easy up-cycle craft can be adapted for any holiday. 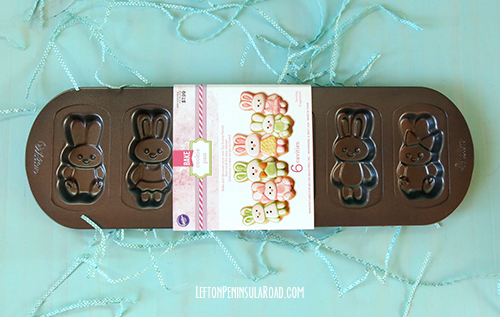 Last spring, I used a Bunny cookie pan to make these adorable Bunny-Shaped Crayons for Easter. 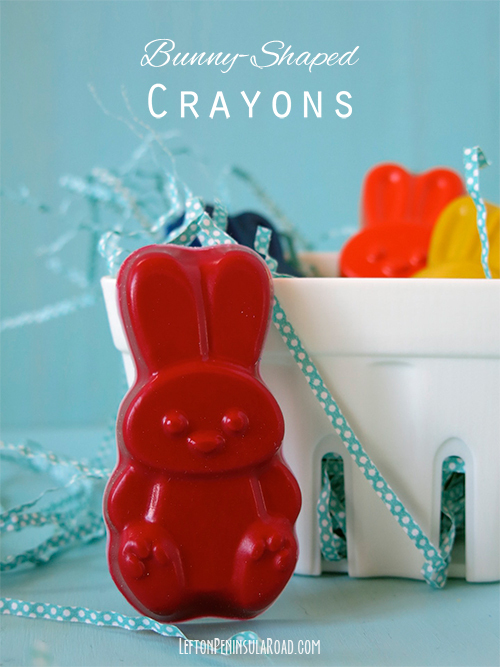 To make your own bunny-shaped crayons, you will need a shaped cookie pan and assorted crayon pieces. 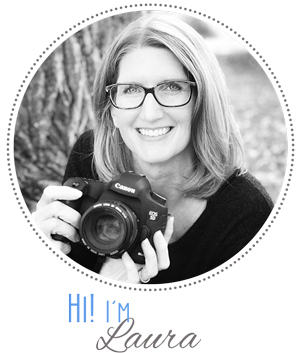 I used a Wilton 6-cavity Bunny cookie pan. You might also want to recruit some help! Except for the melting/baking, this is a great activity to get the kids involved. Remove the crayons from the pan. Aren’t they cute? (Ooooh and aaah a little if you’d like.) 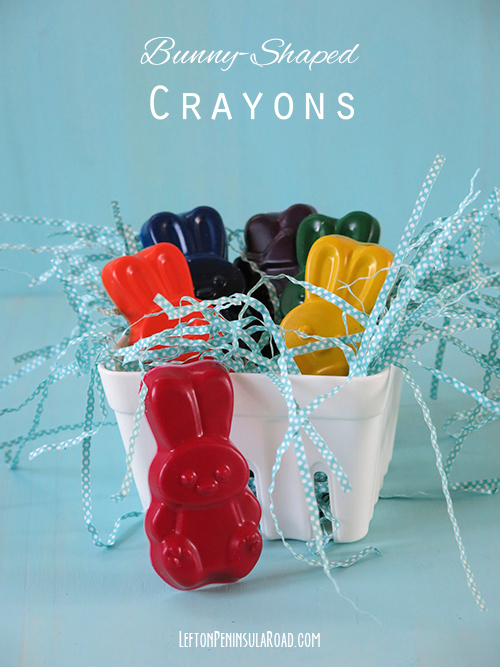 Wouldn’t these bunny-shaped crayons make great non-candy basket fillers or fun favors for the kids’ holiday table? I originally shared these DIY Bunny-Shaped Crayons with Shabby Creek Cottage readers on March 10, 2015.